Laurel Green pet-friendly apartments offer a premier location in the heart of Mt. Laurel, NJ, near a variety of options for entertainment, shopping and dining, and within easy access to the New Jersey Turnpike Easy and Highway Access to Routes 38 and 295. Our spacious one and two bedroom floorplans feature luxury details and features such as washers and dryers in each home, private balcony/patios, walk-in closets, luxury kitchens and bathrooms, 9 Ft. ceilings, designer maple cabinetry and granite countertops. Laurel Green apartments also feature incredible amenities to fit every need for your lifestyle, including a resident clubhouse, 24-hour fitness center and saltwater swimming pool. There is something for everybody at our pet-friendly apartments in Mt. Laurel, NJ. 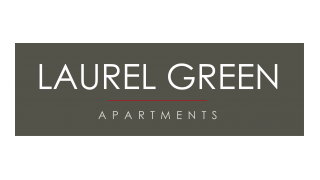 Your apartments search begins and ends with Laurel Green Apartments. Schedule a visit today and find out why Laurel Green are the best apartments in Mt Laurel, NJ.